Adoption of Adults. An adoption of an adult (any person who is over the age of 18) in Texas is a fairly simple process under the Texas Family Code (assuming that all of the adults involved agree to the adoption). The entire process can usually be finished within a couple of weeks. The attorney prepares a petition asking a judge to grant the adoption. There is a small filing fee (approximately $300) and a short hearing that is usually not opposed by anyone. The attorney also prepares an order for the judge to sign at the adoption hearing. Call me if you have any questions about this. I can do an adoption for an adult in Williamson County for a total fee of $1,799, which includes all court fees and legal fees. Annulments. Suits for annulment are much less common than suits for divorce in Texas and in most states. A suit for annulment, as opposed to a suit for divorce, is brought when there has been some legal impediment to the creation of a valid marriage. A legal petition requesting an annulment is based on premarital causes rather than post-marital causes. For example, if the marriage was entered into by a spouse who was actually younger than the minimum legal age to get married, or who was under the influence of drugs or alcohol at the time the marriage took place, or who was mentally incapacitated at the time of the marriage ceremony, then the marriage can be annulled. A marriage that is subject to annulment is considered voidable--it is considered to be a valid marriage until one or both parties requests an annulment from a court and is granted an annulment. Once an annulment is granted, the marriage becomes void and is legally considered never to have happened. If an annulment is not granted, the marriage will be considered valid indefinitely unless you file for divorce and then terminate the marriage through divorce. Texas law specifies several grounds for requesting an annulment. Please call me to discuss the legal annulment of a marriage if you think you might qualify for one. Child Custody and Visitation Problems. Call me if you need to update or modify the provisions for child custody/visitation that were in your original Divorce Decree or a subsequent court order. If one or both parents have moved since the decree was signed or if there is another good reason, you can request that the child visitation schedule be modified. Child Support Increases and Decreases. If you are the parent who is paying child support (the obligor), you may want to try to get the child support reduced to reflect a currently reduced income due to a job change or other reduction in income or because you are now legally responsible for supporting additional children that were not born when the original child support order was created. If you are the parent who is receiving child support (the obligee), you may wish to request an increase in child support to reflect the other parent's increased income due to a pay raise, a promotion, or a job change. You should be aware that the parties cannot legally change the amount of required child support by their own agreement without seeking the Court's approval and getting a family court judge to sign a revised child support order. Sometimes the child support withholding order that should be served on the obligor's employer needs to be changed or updated. I have seen some poorly drafted withholding orders that do not require the obligor to keep paying child support until the child finishes high school. (Texas law says you can require the non-custodial parent to continue to pay child support until high school graduation even if the child has already reached the age of 18 years before high school graduation.) I have seen some poorly drafted child support orders that do not follow the Texas Attorney General child support guidelines. For example, it may state that child support for two children will be calculated at 25% of the obligor's income, but then it drops to half of that (12.5%) when one of the children graduates from high school or turns 18 years old. The Texas Attorney General child support guidelines call for the child support to drop to 20% when only one child is covered by the child support order. Were the parents who signed the decree aware of the attorney general guidelines for child support? A poorly drafted withholding order can cost the custodial parent a lot of money. Call me to see if I can help with child support problems. Common Law Marriage Issues. Click on the link to the left for information on common law marriage in Texas. There are a lot of myths and misconceptions out there about common law marriage in Texas. One common misconception is that a specific time period is required for a Texas couple who is living together to be considered to be common law married. That is simply not true. Call me if you think you might be in a common law marriage relationship (with or without children) and you are interested in getting a divorce. 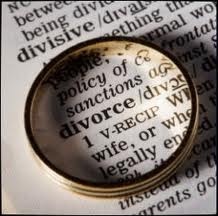 I can help you make sure that you are treated fairly in dividing your community property during the divorce process. I can also help you make sure your children (if any) and the needs of the children are properly addressed in the court order. Divorce Decree Modifications. It is fairly common to need to change a divorce decree that included orders for child custody, child visitation details, child support, children's health insurance details, or a residential geographic restriction for the children. Sometimes the parent who was ordered to pay child support gets a substantial pay raise or a substantial pay cut. Sometimes the original Divorce Decree did not include something that should have been included. Sometimes you need to try to change the specifics of the Divorce Decree to reflect one or more changed circumstances. Call me for help if you think something in your Divorce Decree should be updated or changed to benefit you and/or your children. Geographic Restrictions for the Children. Most divorce decrees in Texas now contain a restriction on where the children can reside. Without such a restriction, it would be possible for the parent with primary custody to move far away from the local area with the children so as to deny meaningful, reasonable regular visitation to the other parent. It is common for decrees to restrict the custodial parent to residing within a particular city or county or within a particular school district. Geographic restrictions are not just window dressing. Most judges will strictly enforce a geographic restriction unless there is a real good reason not to. Perhaps the noncustodial parent is not exercising regular visitation, thereby eliminating the very reason for the geographic restriction in the first place. In that situation, a judge may be persuaded to eliminate or amend the geographic restriction for the children. Call me if you need to add, remove, or modify a geographic restriction in your divorce decree, or if you want to enforce a previously ordered geographic restriction for the children. If your former spouse has recently moved away from the area in violation of a geographic restriction, the sooner that you complain about it to a judge increases the chances that a judge will order the other parent to move back into the specified area. If you wait until the children get assimilated to the new residence that is outside the geographically restricted area, it will reduce the chance that a judge will want to uproot the children again to move them back into the previously ordered restricted area. Talk to an attorney immediately if this happens to you. Health Insurance Issues (while the Divorce is Pending and Post-Divorce). Health insurance is usually very expensive. While a divorce is pending, generally neither parent is allowed to make any negative changes to the health insurance coverage for either party or for the children without the advance consent of both of the parties or the consent of the Court. Before the divorce decree is finalized, it is very important to make sure that the Final Decree of Divorce ensures that the children are provided with reasonable post-divorce health insurance coverage. Normally the parent who pays child support in Texas is also required to provide post-divorce health insurance coverage for the children. This can be done by making sure that the children are covered on one of the parent's employer provided health insurance plans or by making sure that the children are covered by Medicaid, CHIPS or some other government health insurance program. If your former spouse is not providing court-ordered health insurance for the children, then we can try to correct that by filing a motion to enforce the previous court order. If your spouse was not court-ordered to provide post-divorce health insurance for the children along with child support, then we can do something about that also by asking the Court to modify the existing court order. A typical divorce decree will require each parent to pay 50 per cent of the uninsured health expenses for the children. If your spouse is not complying with the court order to pay his/her fair share of the uninsured health expenses for the children, we can file a motion to enforce the court order. If it now makes sense to change which spouse will provide health insurance for the children based on which parent's current employer has a better or cheaper plan for the children, we can request the Court to make that change as well. Call me at 512-869-0131 if you are having problems with children's health insurance issues, either while your divorce is pending or after the divorce has been finalized. Name Changes (for Adults and for Children). Name changes for adults are fairly simple, especially if you want to change your last name back to your maiden last name in the final decree as part of the divorce process. You can change your name as part of a divorce for no additional court fees by simply putting the name change in the Final Decree of Divorce. Adult name changes can be accomplished within a matter of days if all the correct steps are taken. Name changes for children under the age of 18 are much easier to accomplish if both biological parents agree to the proposed name change. Call me if you have questions about name changes for adults and children. Paternity Issues. If you have any doubts at all that you are the biological father of a child, then you should get those doubts resolved as soon as possible by participating in DNA paternity testing with the child and the child's mother. Remember, DNA paternity testing is a lot cheaper than paying child support for 18 years for a child that you did not father. Paternity testing will usually remove any doubts whatsoever about whether you are the father of a particular child. Texas law may require that you address those concerns as part of the divorce process or forever lose the right to raise that issue. DNA testing only involves applying a cotton swab to the inside of each person's mouth so that it can be determined if a specific man is or is not the biological father of a specific child. The results are usually known within a couple of weeks. Call me if you have paternity questions. Prenuptial Agreements/Postnuptial Agreements. Texas law allows you and a potential spouse to enter into a prenuptial agreement that will control how your property is divided in the event that the marriage later ends in divorce. Similarly, Texas law allows a husband and wife who are already married to enter into an enforceable agreement that will control how their property is divided in the event the marriage later ends in divorce. 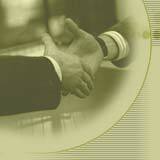 Call me if you are interested in learning more about these types of agreements. Spousal Support (Alimony). Texas law provides for spousal support under some circumstances, short term and long term. You can request temporary spousal support until the decree is finalized and/or post-divorce spousal support to help you get on your feet financially once the divorce is granted. Call me for details. If you have a Divorce or Family Law problem in central Texas that is not listed above, please contact me at 512-869-0131 to discuss your case. I have handled a wide variety of divorce and family law problems during my 33 year legal career. I am here to help. Ken is a Former Williamson County Misdemeanor Prosecutor who served as an Assistant County Attorney in Georgetown. Free Telephone Consultations. Office Consultations for Divorce and Family Law Matters for only $250, which includes up to one hour of a face-to-face discussion of your legal problem in my Georgetown office. We represent clients in Divorce and Family Law Matters in all County Courts at Law and all District Courts in Texas. We represent clients in Williamson County, Travis County, Bell County, Burnet County, Milam County, and other counties in central Texas. Contact our Georgetown, Texas, office for representation in Georgetown, Round Rock, Cedar Park, Leander, Taylor, Austin, Hutto, Liberty Hill, Jarrell, Walburg, Weir, Andice, Jonah, Schwertner, Florence, Pflugerville, Fort Hood, Rockdale, Cameron, Temple, Killeen, Harker Heights, Belton, Copperas Cove, Burnet, Bertram, Elgin, Thrall, Thorndale, Salado, Bartlett, Granger, Coupland, and other cities in Central Texas.